The 2018 Iowa Caucuses will be held at 7pm on Monday, February 5th, 2018. You can find your caucus location HERE. In order to participate in the upcoming Republican caucus, you must be a registered Republican and at least 18 years old by the 2018 general election, held on November 6th. Consequently, you must be born on or before November 6th, 2000 in order to caucus. If you are not old enough to caucus, you can still attend to learn more about the process and become a junior delegate to the conventions. If you are not a registered Republican, you can contact your county auditor to register immediately, and will also have the option of same-day voter registration at the caucus location. You can get full information on registering to vote in Iowa at https://sos.iowa.gov/elections/voterinformation/voterregistration.html. Following the precinct caucus, an additional three tiers of conventions will be held, moving grassroots delegates and platform proposals from the precinct level to the county, congressional district, and state conventions. If you are interested in participating in the work of the Republican Party of Iowa, consider running for delegate to the county convention! You can use https://sos.iowa.gov/elections/voterreg/pollingplace/search.aspx to find your precinct. 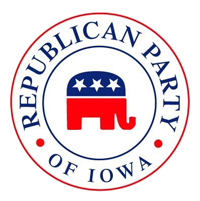 Once you have identified the precinct in which you reside, consult the Republican Party of Iowa’s list of caucus locations, which is available by visiting https://www.iowagop.org/2018/01/10/2018-iowa-gop-precinct-locations/.